Unethical (and potentially illicit) competitors trying to damage a brand. As a side note, if this last risk category -- cyber threats on social media -- seems like a secondary concern, unfortunately this is not the case. As reported by CIO Insight, many of today’s cyber criminals are turning their attention away from corporate servers and endpoints, because they are finding it much easier, cheaper and more effective to target victims through social media -- often using spear phishing tactics (i.e. using a recipient's name and title to seem safe and familiar, etc.) to steal credentials and other sensitive or confidential data. Who are our corporate stakeholders for social media governance? What are our corporate risk priorities? Should our social media governance team be centralized or localized? How do our corporate goals integrate and impact social media usage and governance? What social media governance metrics and KPIs will be used to monitor performance, progress and effectiveness? What state, national and/or international laws and regulations need to be reflected in our social media governance approach? What is the relationship between our marketing and branding strategy and social media governance? How and when will social media brand audits be performed, and who will take ownership of this task? Who is responsible for the overall social media presence and profile? What protocols and processes are in place to handle different risks and crisis (e.g. reputational damage, cyber threat breach, etc.)? 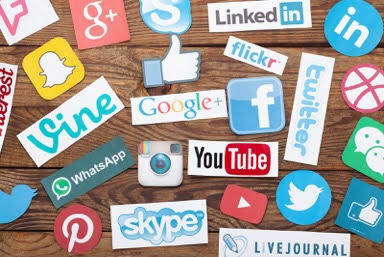 These are just some of the questions that, once properly answered, provide the foundation of a strong, solid social media governance plan that protects the organization as it navigates through the rewarding, yet risky social media landscape. To learn more about social media governance and protecting your organization, download our eBook “The Social Media Governance Plan”. In this resource, we discuss social media risk factors and the audit process for corporate, employee and key partner social media accounts. Then we lay out the steps it takes to build a solid social media governance plan and the monitoring procedures to keep that plan in place.